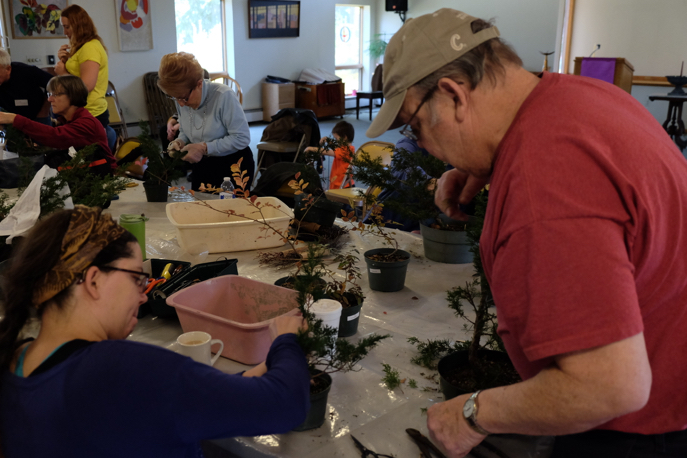 Monthly meetings are typically held on the second Saturday from 1-3 p.m. 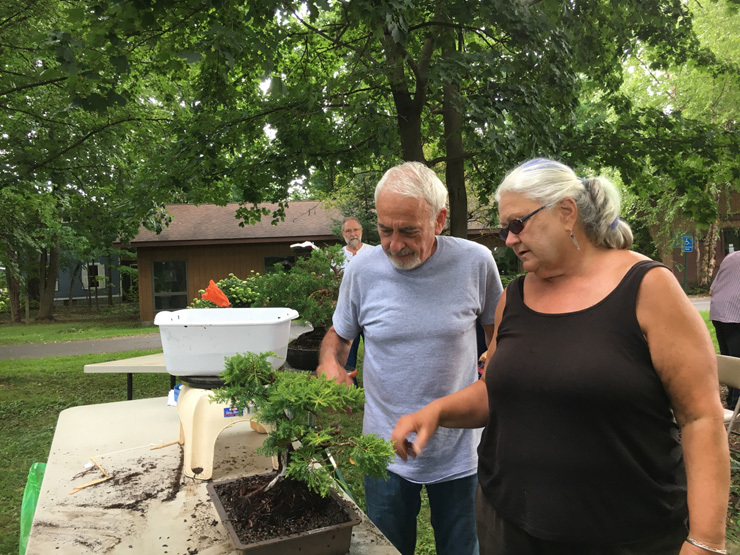 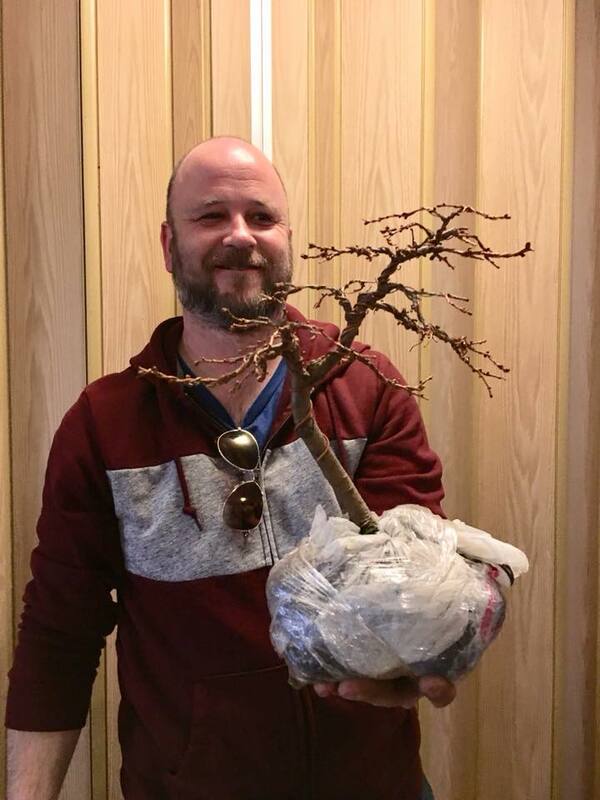 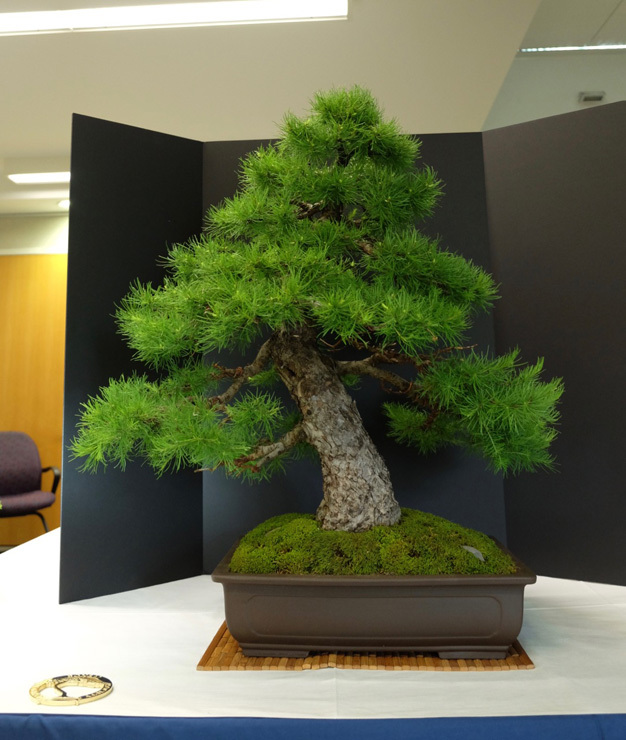 Eight club members will bring a tree or discuss a bonsai-related topic for 10-20 minutes each. 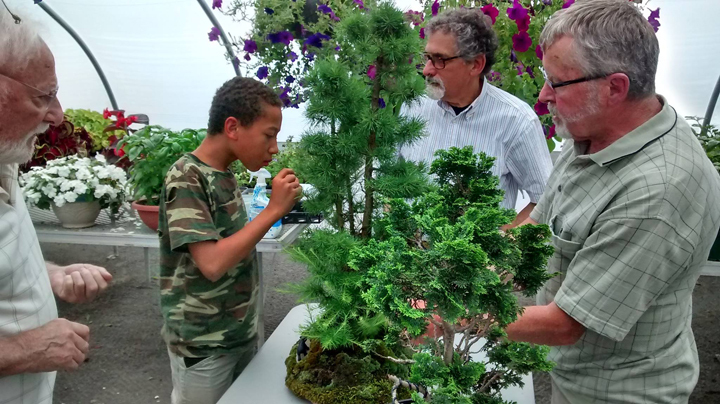 We will also plan our bonsai demonstration(s) for the MWPAI Festival in July. 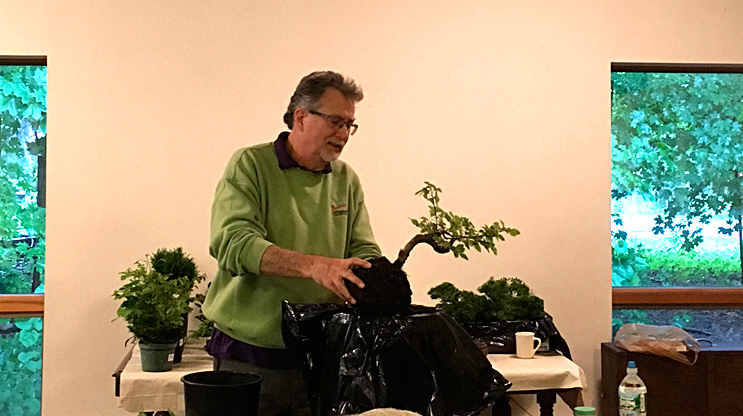 Members of the MV Bonsai Club are very grateful for the wonderful extended meeting with Mark Arpag on April 13! 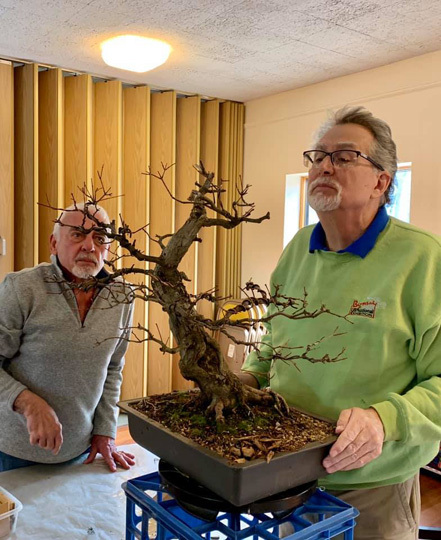 Many thanks to Mark for reviewing member trees and his most informative demonstration on our club juniper — which was ultimately taken home by lucky member Ralph Pope. 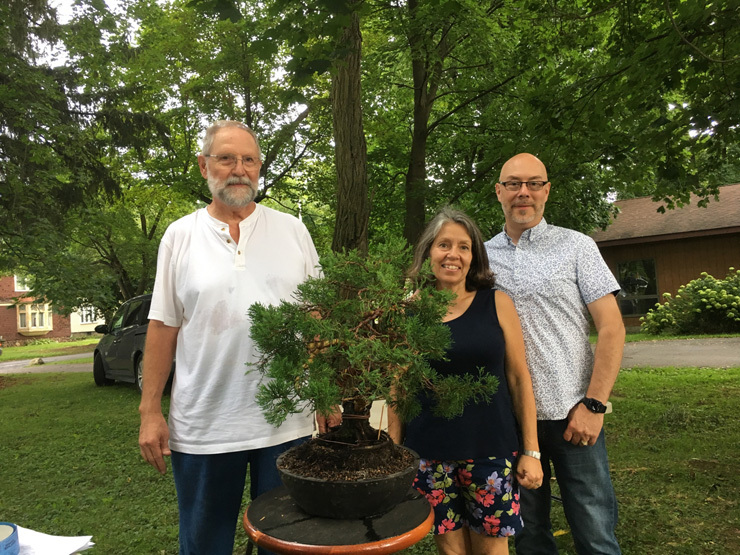 MVBC is grateful to American Bonsai Society board member Pauline Muth, from PFM Bonsai, for attending our exhibition and awarding Best of Show to our member Carl Hoffner's beautiful American Larch. 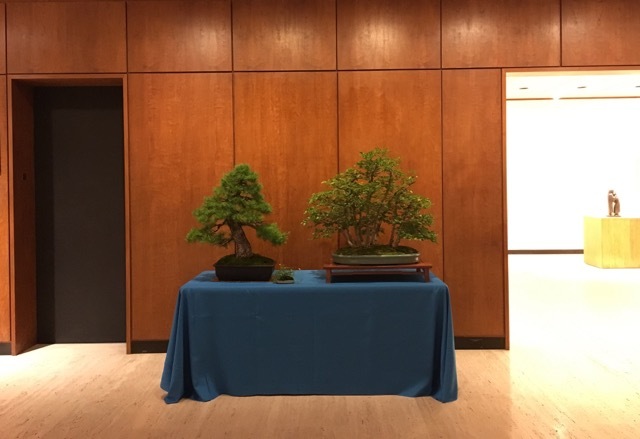 The Mohawk Valley Bonsai Club was invited to have a display table at the Munson-Williams-Proctor Arts Institute members' opening reception for the exhibition Kimono! 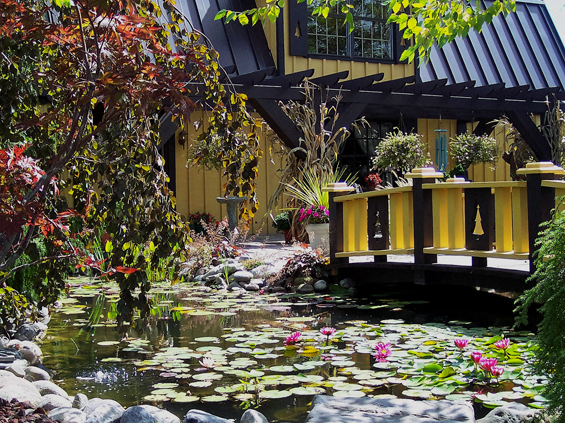 (June 9). 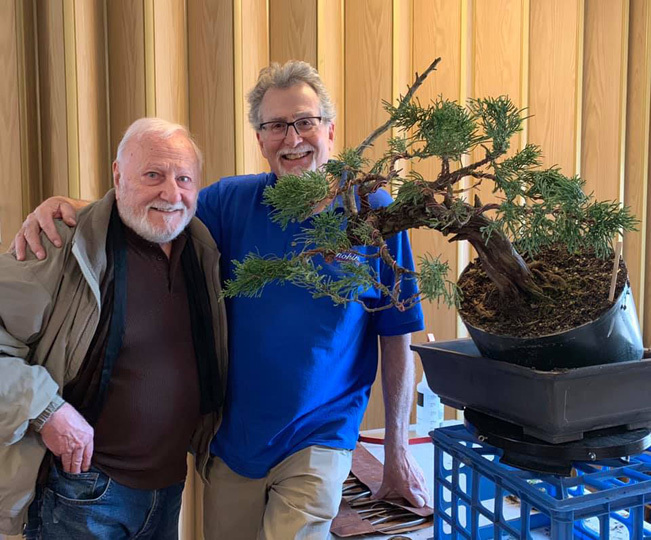 We are grateful to MWPAI for this wonderful opportunity. 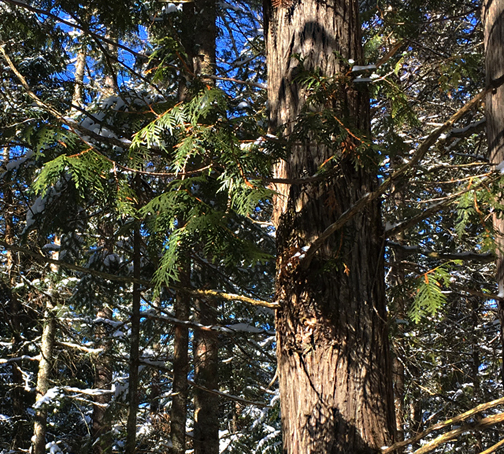 Thank you to Rick Short for his essay "Father-Son Pairing" which accompanies December's newsletter. 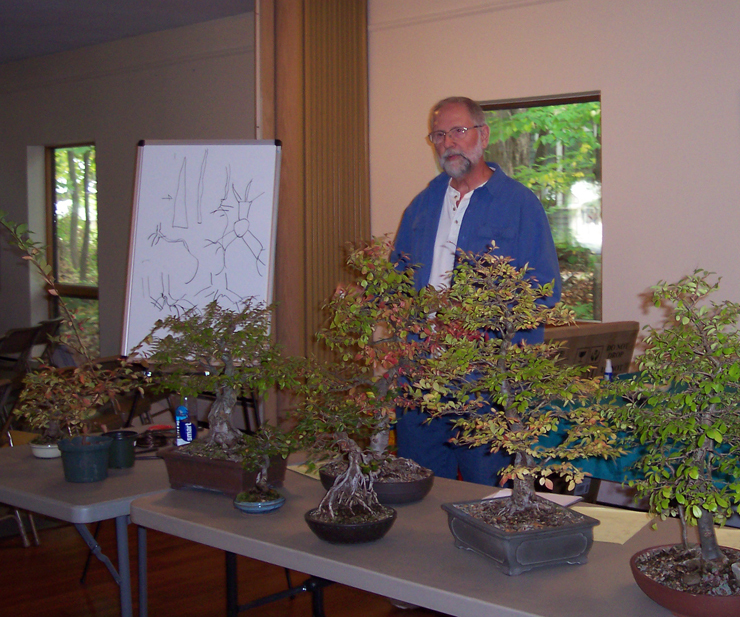 Our study group at D'Alessandro's Nursery was informative and enjoyable. 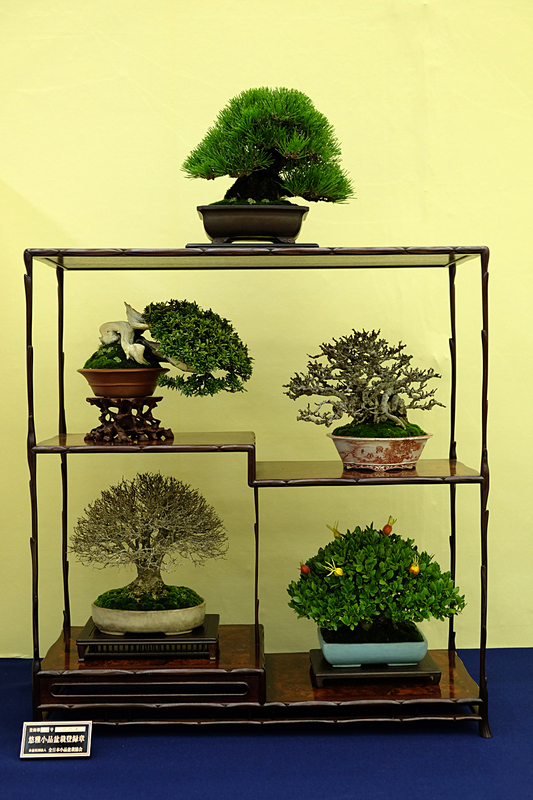 Check out our photos on Facebook. 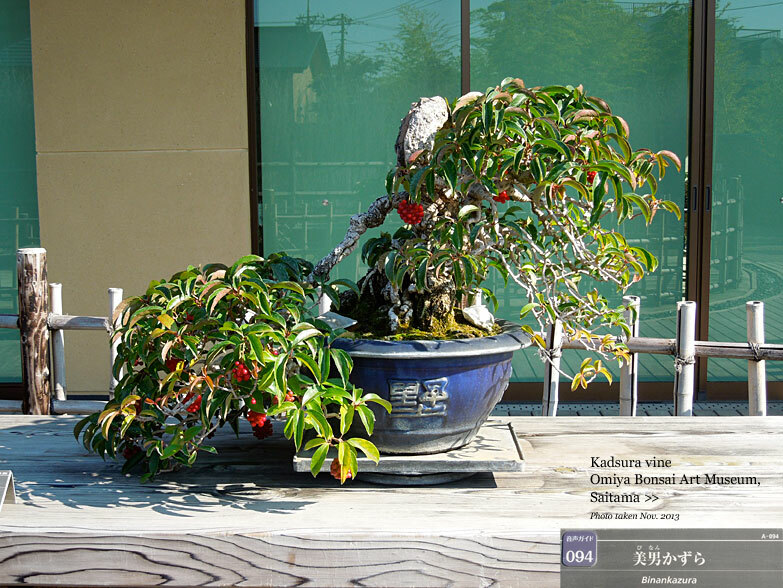 A bonsai is considered a shohin if it measures approximately 20 cm or 8 inches from the top of the pot to the top of the tree. 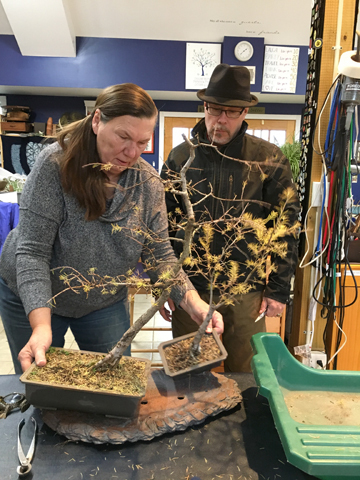 Our thanks to Art Doremus for an interesting and informative presentation on insect and fungal problems — how to recognize and control them. 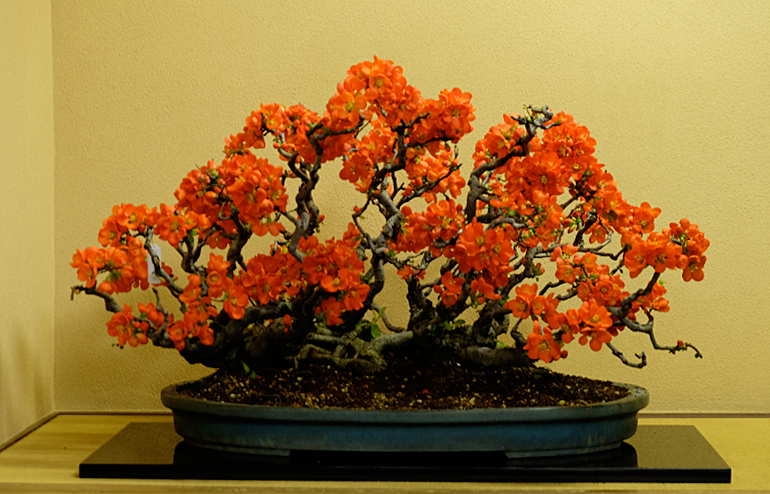 (Below) January 2016; Chojubai (flowering quince) displayed in tokonoma at Kunio Kobayashi’s Shunka-en bonsai museum in Tokyo. 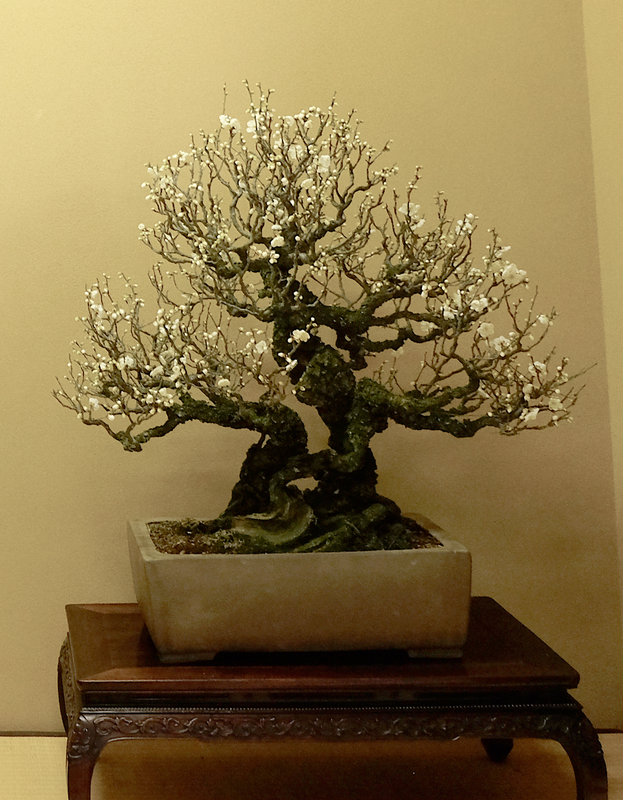 (Below) January 2016; flowering Ume (Japanese apricot) displayed in tokonoma at Kunio Kobayashi’s Shunka-en bonsai museum in Tokyo.